John Halsey, Vice President, of Business Development at Turn-Key Health, a population health management company serving payers and their members with advanced illnesses joins eHealth Radio and the Health News Channel. Please describe the Turn-Key Health model and how it supports health payers and their members who are facing serious illnesses – are they at the end of life? What is specialized community-based palliative care? Please describe who provides the services and exactly what type of care they provide to members in the home under the Turn-Key Palliative Illness Management™ — (PIM™) model. Does this level of care also relieve burdens for the family and caregivers? How does the Turn-Key model help to select health plan members who will most benefit from specialized palliative care? What are some important results of the program? Patient satisfaction? Reduced – hospitalizations, readmissions, ICU days? Impact on total cost of care? 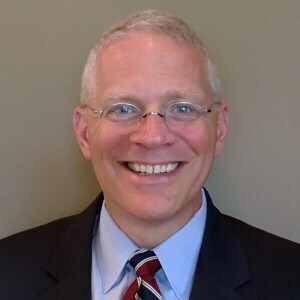 John Halsey, Vice President, of Business Development at Turn-Key Health, a population health management company serving payers and their members with advanced illnesses. John is a healthcare executive with 25+ years of experience helping organizations drive revenue by strategically assessing opportunities, developing marketing strategies and executing on sales. Previously, he served as a managing partner at AXON Strategy, serving healthcare and private equity organizations to help refine strategies and solutions impacting revenue growth, operational capabilities and M&A opportunities. Prior to that, he served as Executive Vice President of Business Development for Real Time Medicare Data, a health informatics company serving provider organizations. John also served as Executive Vice President of Business Development at MDLIVE, a telehealth company, leading market development across the payer and provider verticals. He also assumed a senior management position at TelaDoc, following his involvement as part of the transaction team leading its A-round of private equity funding. John is a member of the AHIP Foundation, American Telemedicine Association, ACO Development Group, the Institute for HealthCare Consumerism, MCO Executives, Urology Health Foundation and the MacJannet Foundation. John is a graduate from the University of Alabama Birmingham.